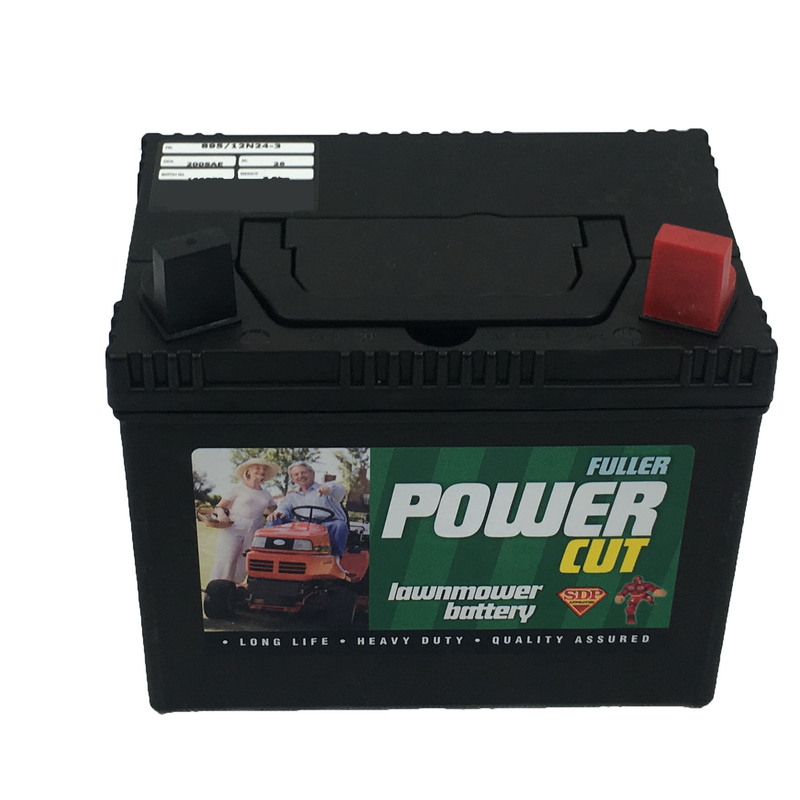 Fuller Powercut Lawnmower Battery Sealed 895 U1R 12N24-3 12V 26Ah from County Battery Services. Fuller Powercut Lawnmower battery is one of the best leisure batteries on the market when it comes to garden machinery. These batteries have a capacity of 26Ah each, as you would expect from a brand leader like Fuller as they are manufactured to a very high standard. These batteries have a long lasting service life, reliable starting power, unique safety design and comes equipped with a charge level indicator. The battery has lead acid technology and low electric resistance with one-year warranty. You won't find a better battery for this price in the market than 12V 26Ah Fuller Powercut Lawnmower Battery Sealed. This battery comes fully charged and ready for use. Remember to keep this battery charged, if not in use charge every 3 months.